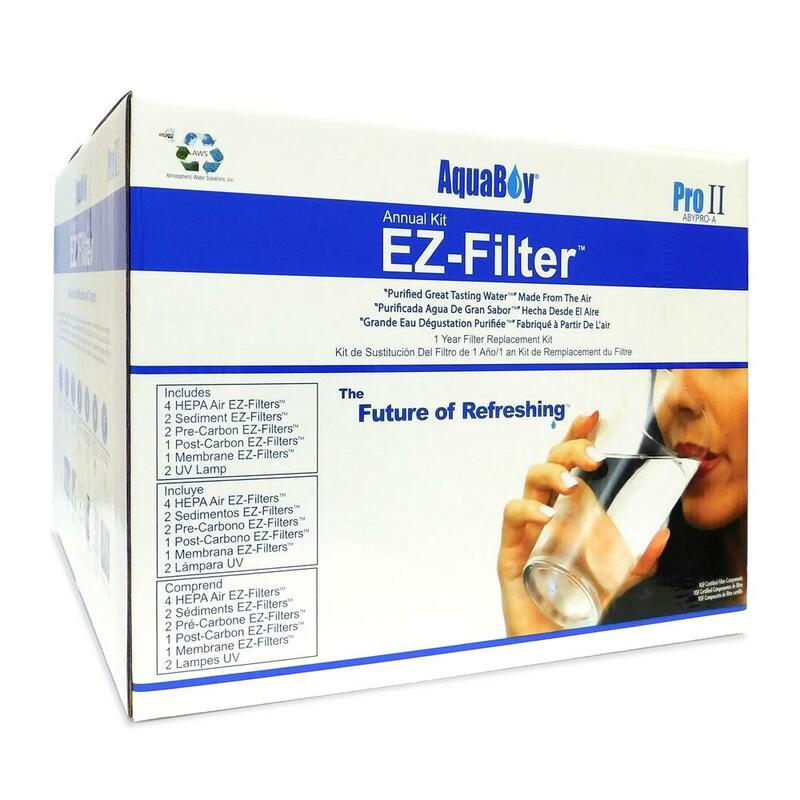 The AquaBoy® Pro II EZ-FilterTM First Year Kit provides you with everything you need to help your appliance generate “purified great tasting water”TM made from the air in the first year of ownership. 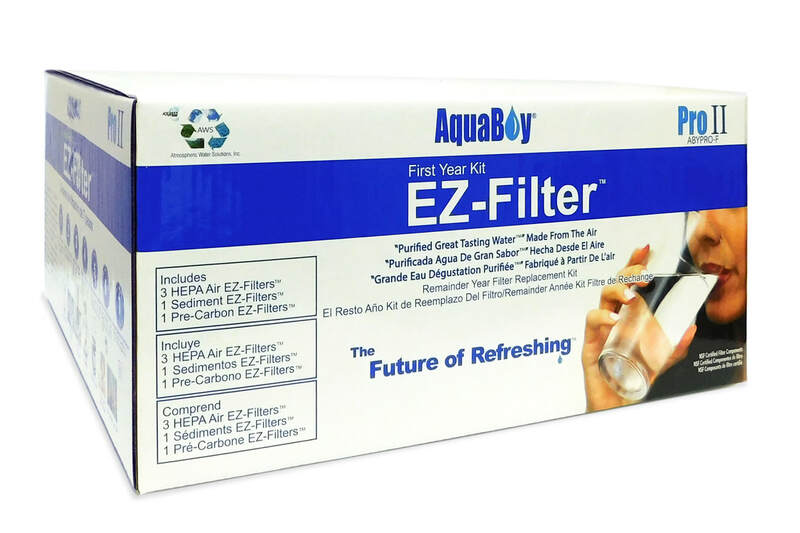 The AquaBoy® Pro II EZ-FilterTM Annual Kit comes with everything needed to continue the maintenance of your appliance for an entire year. Learn more about Auto-Ship so you never have to worry about filter replacement again.